Building Windows 8 onto USB drive in Windows To Go Creator Center allows us to take our own Windows 8 away for mobile officing. This feature can only be operated in Win 8 Enterprise edition built-in Windows To Go Creator Center. We will show you how to use this function step by step. In Windows 8 Enterprise edition, one can find a new feature---- Windows To Go Creator Center, which is generally considered to be the Windows 8 USB drive maker. With Windows To Go Center, we can build Windows 8 onto a USB drive. In this way, wherever we go, just take the WTG USB drive with us, we can use our own Windows 8 on any computers. This truly makes mobile officing possible. Here today we will show you how to make your own Windows To Go USB drive in Windows Creator Center step by step. 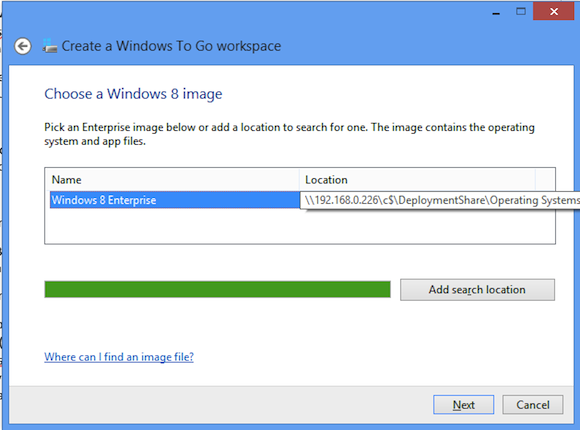 For your information, Windows To Go Center is only available in Windows 8 Enterprise edition. 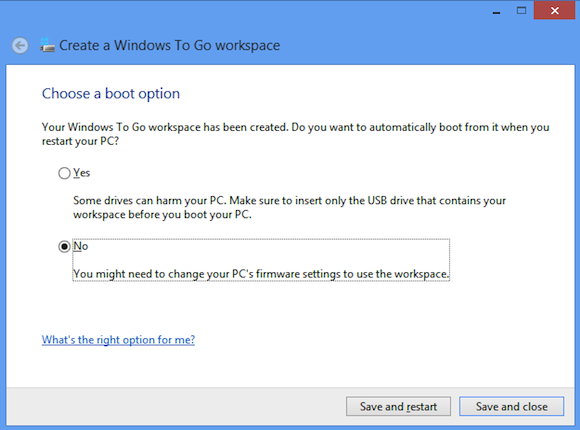 To use Windows To Go, we must choose a WTG certified USB drive first. The capacity of this USB drive must be at least 32GB. Also, since this USB is going to be a system partition, USB 3.0 is preferable. Step1. Insert the USB drive. Go to Control Panel, find Windows To Go Creator Center and open it. Step2. In Windows To Go Creation Center, we can see that it’s searching for the USB drive. After the USD drive is recognized, it’ll be listed in the picture below. Click on Next. Step3. The system will ask us to pick out an image of Windows 8. The image is for the USB drive creation. It could be from the plain Windows 8 installation disc or the one that you are currently using. Choose one and click on Next to the next step. Step4. 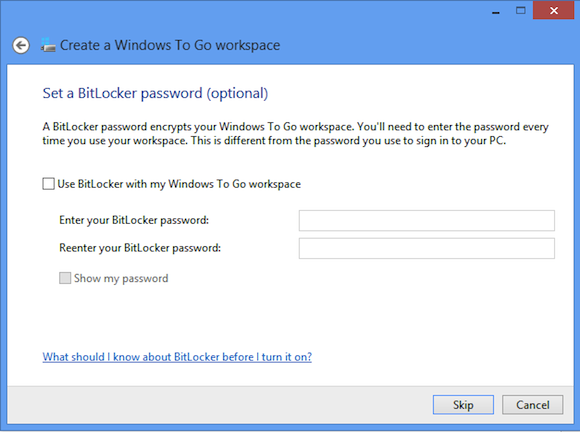 Use BitLocker to set password for the Windows To Go workspace. This is only optional. Moreover, we can decide later and add password after we have booted into the WTG device. Step5. At last, click on Create to start the WTG workspace provisioning process. The whole process may take about 15-30 minutes depending on the size of the system image. As you can see, the Windows 8 To Go maker in Win 8 Enterprise edition is very easy-to-use. Take the WTG USB drive with you to enjoy the mobile Windows 8.